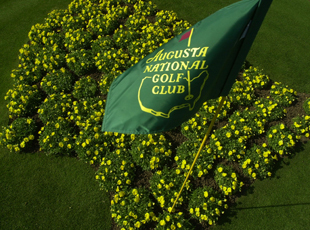 Augusta National invited former Secretary of State Condoleezza Rice and South Carolina financier Darla Moore to become the first women in green jackets when the club opens for a new season in October. Lots of feelings were brought up when the news came down that Augusta National golf course was allowing two women membership to the prestigious club, which hosts the premier PGA event The Masters. Allowing former Secretary of State Condoleezza Rice and Darla Moore was big news despite the calendar reading 2012. It may have surprised people that there were still exclusions anywhere, but that has been the right of private membership clubs and organizations. It brought back the stinging feeling I got covering (or least trying to cover) a major golf event more than 25 years ago. The Western Open, at the time, was one of the top events of the PGA tour and was played at Butler National Golf Club in Oak Brook, Illinois. To be perfectly frank, I had stopped thinking about this type of exclusion for quite a while. Most people don’t care or want to hear about it. Sometimes you just shove a negative situation in the back of your mind because it seems to not matter anymore. So when I heard the news about Augusta it took a day for it to sink in and the memory of dealing with Butler National as a young female reporter surfaced. I was working at WMAQ-AM radio and had a very forward-thinking news director, Tom Webb, and program director, Bill Gamble. They gave me a job as a producer for a nightly talk show. Eventually they were instrumental in putting me in a position to be one of the first women to cover many of the sporting events and teams in Chicago for radio. Usually I was covering the local sports teams and there were huge obstacles that I had to deal with. I was basically on my own to do the job. Most times I was the only woman, so it was uncharted territory. How things would be handled would be at the discretion of the teams or media relations staff. It wasn’t easy, but I had to fight my own battles because it seemed my will and determination were always being challenged. I also had to develop a tough skin, something I learned wasn’t easy (sometimes I think my skin was six inches thick). At WMAQ-AM, we had a reporter Jerry Kuc who loved to cover golf; he played it and really enjoyed covering these tournaments. These events are four days long and for some reason, Jerry couldn’t cover one day of the Western Open (it was either 1986 or ‘87). My news director told me to go to Oak Brook and cover the tournament for the day. No one realized that it would be a problem. Not being a golf expert, I made sure that I understood and soaked in as much information as I could. My assignment was simple, no hourly updates, just talk to the golfers coming off the course. When you have limited knowledge of a sport, doing just post reporting is always easy…so I thought. When I got to Butler National, I had my credential (back than there was no photo IDs) without specifying my name. I was told I couldn’t walk the course, so I stayed in the clubhouse. Since I had never covered golf before, I didn’t realize that should have been my first clue something wasn’t right. As the golfers finished their round, reporters were given access to them — everyone except me. As I walked with the very modest media crowd I was told I couldn’t go with the group since I was a woman. No exception. It didn’t matter if I had a credential, there was no chance I would talk to the golfers. I left, a bit stunned, not realizing that their policy of “no women allowed” applied to media. Other women would get the same treatment and in 1990 Butler National lost the Western Open to Cog Hill (much to my delight). The battle to have just two women join Augusta National doesn&apos;t solve the huge problem of exclusion, since it is still such a small number. It does bring to the surface that there is still separation between men and women. In case you are wondering, Butler National still does not allow women members. As for my golf coverage, I did cover the PGA Championship and the U.S Opens (without issue) at Kemper and Medinah, respectively. That experience with Butler tainted my feelings about golf, but they were eased a little on Monday.